You're looking for a full body workout for mass? Perfect, that's exactly what this article will show you. Dive in and find out just what you need to do, to pack on muscle and become the best version of yourself. I'll walk you through what types of exercises will give you the best ‘bang for your buck', what reps and sets to use, and how building mass will be of benefit to you. Here at the Fit Father Project, we offer a variety of exercises and tips to complete a full body workout for mass. We've helped thousands of men, just like you, to transform their bodies by adding muscle mass and losing body-fat. The first step of building mass is to make sure you have dedicated time in your schedule. You can complete a good exercise routine in just half an hour; so all you need to do is give up one television program! Keeping true to these time blocks should be as important to you as attending a business meeting or a doctor's appointment. Remaining consistent with your workouts will be one of the keys to getting the most benefit from them. It is best to complete the full body workout for mass every other day, effectively allowing forty-eight hours for your muscles to recover. There are several exercises that will work multiple muscles and assist you in building mass across your entire body. Squats are a top exercise for working your lower body, particularly your Quads, Hamstrings, and Glutes. They can be done without weights but you will build mass faster if you use the heaviest weight you can safely manage. Go from standing, to your thighs parallel to the floor by bending your knees. Your back must remain straight. You can use either dumbbells or a barbell to perform the exercise. Deadlifts are one of the best exercises… period. They work Quads, Hamstrings, Lower Back and Forearms, among others. Hold a barbell in front of you at full arms length, resting against your mid-thigh. Slowly lower the bar down towards the floor, keeping your back straight and hinging at your hips. Once the bar reaches about 1-inch from the floor, stand back up, lifting the weight back to the middle of your thigh with your arms and back straight. Bent-over row is great for building a thick back, but also great for working your core muscles to hold the correct position too. Start with a dumbbell in each hand and your back straight but at a 45 degree angle to the floor; knees slightly bent. Your arms should be hanging in front of you. Raise them slowly up until the dumbbells are at the same height as your hips; then lower them back down. You should squeeze your shoulder blades down and back throughout the exercise to activate your back muscles fully. Shoulder Press is a great exercise for building strong, full and defined shoulders. Start by standing upright with your back straight and a dumbbell in each hand. Raise the dumbbells up beside your ears and simply push them upwards and slightly forwards of your head. Make sure you don't rock back and forth, and you keep your core tight and strong. Chest Press is an upper-body giant of an exercise, working chest, shoulders, and triceps, all at once. These are usually done laying on a bench with a dumbbell in each hand and your feet flat on the floor. Start with your arms bent, holding the dumbbells just above chest height. Then push them upwards until your arms are straight. It is important to note that there are variants of this routine, such as incline, decline, and barbell presses. To see tutorials for some of these variations, check out our Fit Father Project YouTube channel. The Old School Muscle Program and the Fit Fathers 5 Best Exercises will provide you with more advice on performing these exercises correctly and building muscle mass. To really build full body mass you must look at weight against reps.
You will build muscle faster and more effectively if you use different rep ranges throughout your sessions. In our Old School Muscle Program, we recommend doing 1 heavy, 1 moderate and 1 light session each week. Heavy means 6-10 reps, moderate is 12-15 reps and light is 20+ reps. This will push your muscles harder, allowing the small tears in your muscles to occur; which increases muscle size as they heal. It is also best to aim for three sets of each exercise; but again, mass building is about pushing the weight, or resistance you are moving. You will notice a range of benefits associated with completing a full body workout for mass. There is no doubt that you will look good if you follow the full body workout for mass. In fact, you will have the sort of body that superheroes dream of! It is hard not to be a little pleased by this. More importantly you will be healthier. Building mass will also reduce the fat levels in your body. As excess fat has been linked with heart diseases, diabetes and a variety of other health issues, you will not only be fitter, stronger and healthier today; you will be protecting your future. Muscles burn more calories than any other organ in your body. The more muscle mass you build the more efficient you will become at burning excess calories; in effect it will become easier to stay fitter and stronger! As long as you're following our suggestions and checking your form as you exercise, you will help yourself avoid injury. Completing a full body workout for mass will naturally make your muscles stronger. Just as importantly, it will build strength in your tendons, ligaments and stabilizer muscles too. In turn, this will help protect your body from the stresses of everyday life. Make sure you warm up and cool down properly too, and your body will definitely thank you. There is no doubt that the full body workout for mass will improve your quality of life, the question is when are you going to start? 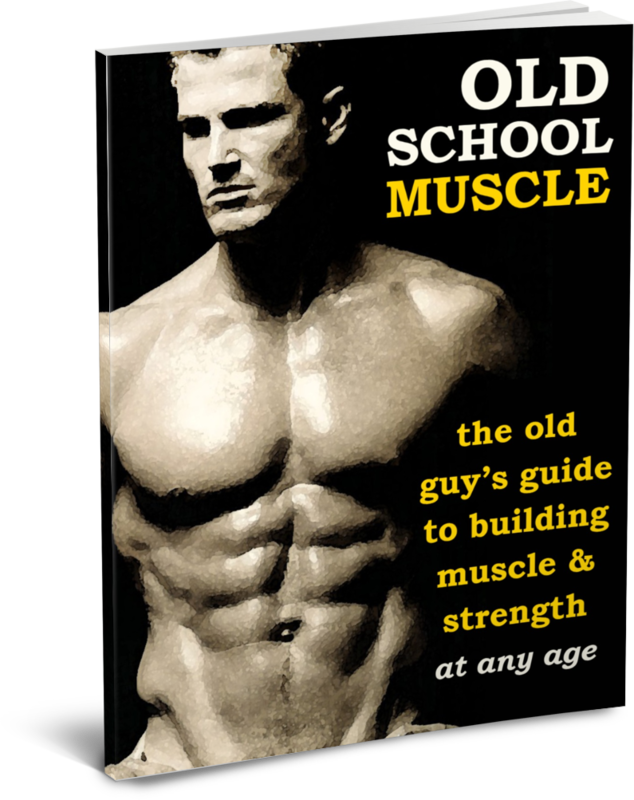 Read the ‘Old School Muscle' Program overview letter here to see how our plan can help you gain muscle – without the complication & restriction of normal diets. *Always remember: weight loss results & health changes/improvements vary from individual to individual. Just because these studies cite certain data does not mean you will experience these results/outcomes. Always consult with your doctor before making decisions about your health. This is not medical advice – simply well-researched information about the best full body workout for mass. Thanks for reading!